Fundo San José Ecological Park & Lodge is a natural paradise ideal for those who seek to enjoy the beauty of the exotic Central Selva. Its magnificent facilities make the visitor feel part of nature. We have a lot to see and discover. There are 43 hectares dedicated to the conservation of nature. We have more than 415 species of plants blooming and developing, as well as 63 registered bird species. The Fundo can be visited all year round; Each season has its charm. We have implemented an area of education, production and dissemination of knowledge, within an Interpretation Center, which is a reference for all visitors to the Central Selva, where you will find information that will enrich your visit. The IC is an interactive space, which aims to offer visitors a unique experience where they can learn through play about the natural heritage of Fundo San José and the Central Amazon Jungle. To preserve this species we have implemented a farm where visitors may watch the sajinos at various stages of their growth. The interpretation center has a garden where the most representative varieties found in the San José Farm are exhibited and can be seen throughout the year according to their time of flowering. Special place for bird watching, unique experience for experts and amateurs. Restriction: Minors can access only in the company of an adult. RESTAURANT "LA TERRAZA DE MARUJA"
The Spirit of the Forest: Tree, which synthesizes in its deep, roots the strength of our love for nature and our desire to preserve it. Within the ecological park we find three viewpoints (Mirador 2, Mirador San Jose and Mirador San Fernando) from where you will appreciate the majestic entrance of the Chanchamayo River to the city of La Merced, dawn, sunrise and a privileged view of the city. 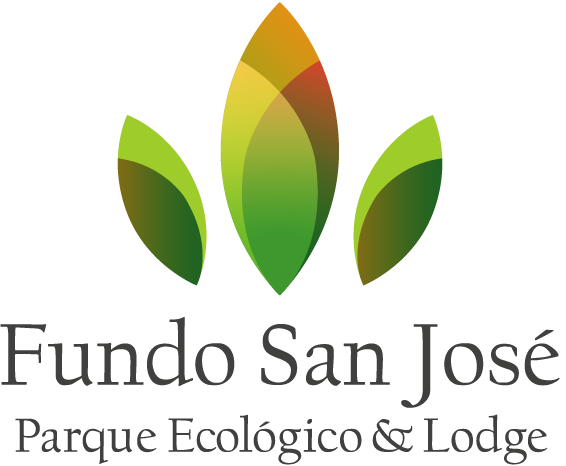 For over 8 years, the Fundo San Jose Eco Lodge & Park is one of the pioneers of sustainable tourism in the Central Selva corridor. We work in research, rescue and conservation and promote awareness of the importance of bio-diversity and environmental stewardship. We also have a priority to develop Central Selva as an ecotourism destination.